Christmas Shopping, Take an All-Day 1/- Ticket', London County Council (LCC) Tramways poster, 1926. 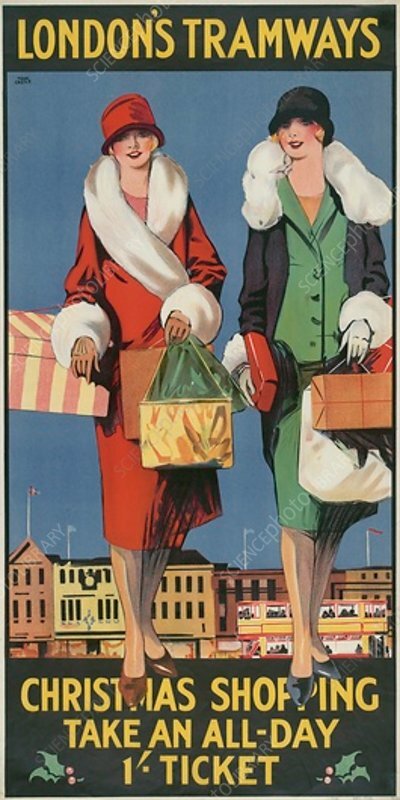 Showing two women wrapped up in winter coats and carrying Christmas shopping. Shops and a tram can be seen in the background.